Have You Seen The SEER Rating on Your Unit? As the summer months approach, many homeowners are interested in learning as much about their air conditioners and heating systems as possible. In so doing, these individuals seek to optimize their home so that a flow of cool, clean, comfortable air is constant. SEER is an acronym that stands for Seasonal Energy Efficiency Ratin. Typically, SEER ratings will range from ten to twenty. The SEER rating represents the ratio of cooling output throughout the cooling seasons divided by electrical output. The higher the SEER rating of an AC, the more energy efficient the system will be. The SEER rating can usually be found on a yellow sticker attached to the unit. 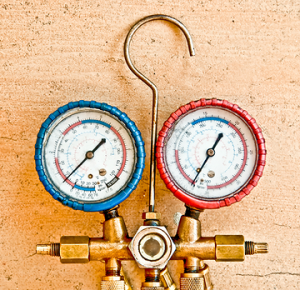 Why is the SEER Rating Important to Know When Considering a New HVAC Unit? The SEER rating is important to know before buying a new unit for many, many reasons. One of the primary reasons is legal. Back in 2006, the federal government started requiring that each new residential AC maintain a SEER rating of at least thirteen. In previous eras, AC units typically maintained a rating between eight and twelve. Typically, the older AC units are less efficient. In order to obtain the “Energy Star” rating, an AC unit must have a fourteen SEER rating. Fourteen is also the required SEER in order for an AC to quality for rebates and tax credits. The only exception is for AC units designed to fit within windows. These units are required to have a SEER rating around ten.Another reason SEER ratings are important to know about pertains to determining whether you’ll need a new one. For example, if your current AC unit has a SEER rating below nine, this indicates that a new unit will be at least 40% more efficient. For this reason, replacing the old model would be practical and economically prudent given that it would significantly reduce your energy bills.One final reason that knowing SEER ratings is important pertains to optimizing your comfort level in your private living space. For example, individuals who opt to live in warmer regions should select AC units that have a higher SEER rating. This will save money, optimize use, and preserve the longevity of the unit. 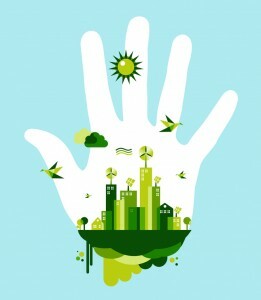 Go green with energy and money saving HVAC units. Call the experts of Heidler, Inc at (410) 268-7191 to make your Annapolis area home more efficient today.